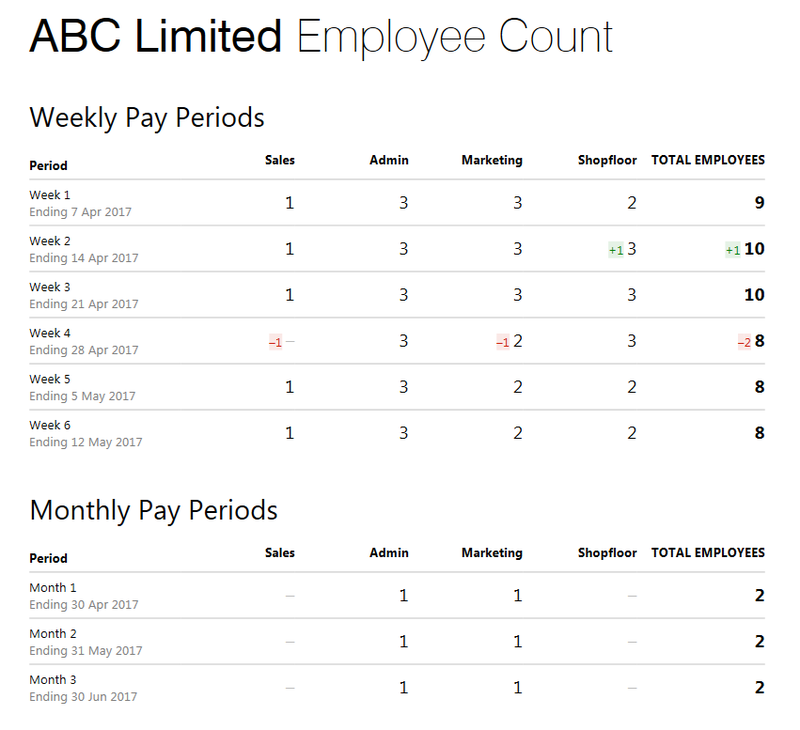 An Employee Count Report is available within the Employees utility. This report documents the number of employees in each pay period, including a departmental breakdown of employee numbers. It also indicates how many starters and leavers there are in each pay period, if applicable. b) Press Print/Email/Export PDF as required.